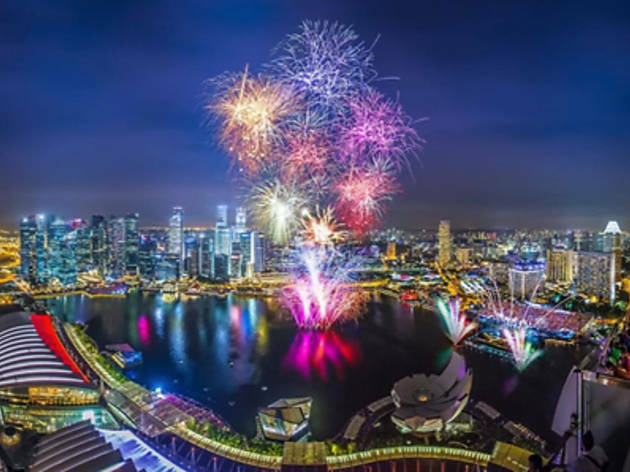 Ku Dé Ta restaurant executive chef Frederic Faucheux puts together a National Day menu comprising 12 modern Asian dishes, including oyster tempura with caviar and lime mayonnaise and pan-seared foie gras served with mango sorbet and miso dulcey to celebrate Singapore's 49th birthday. Not to be outdone, pastry chef Ariane Jimenez rallies with a deconstructed version of the Singapore Sling, which will end the meal on a sweet note. 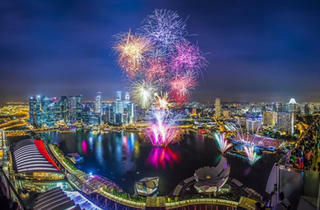 Patrons can also enjoy the National Day Parade thanks to the SkyBar with its full view of the Floating Platform. The National Day menu is available in one seating only from 5.30-7.30pm. Dinner is priced at $268 with a $128 supplement for wine pairings. Tickets to the Skybar are priced at $48 per person, inclusive of one glass of champagne.